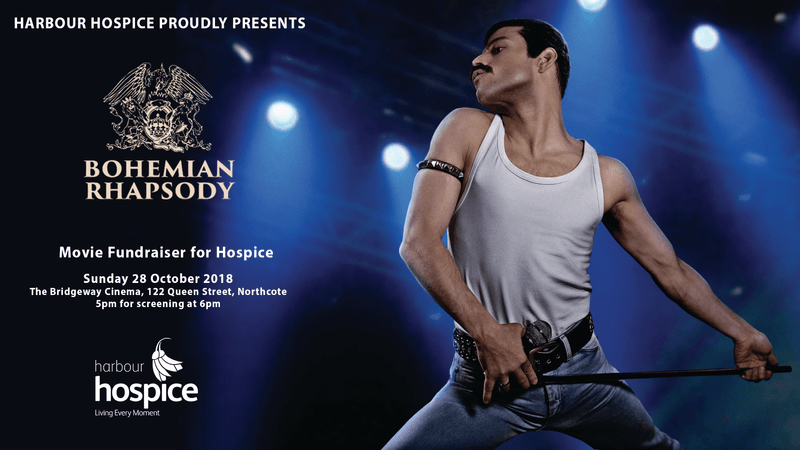 Calling all Freddie Mercury/Queen fans - be the first to see the new Bohemian Rhapsody film with your family and friends all while supporting a fantastic cause – Harbour Hospice – North Shore Community. Your support will allow people on the North Shore to receive the Hospice care they need and deserve, absolutely free of charge. Your support also makes a huge difference to the partners, parents and children of Hospice patients. Tickets include a combo of popcorn + an icecream/a non-alc beverage or a beer/wine.